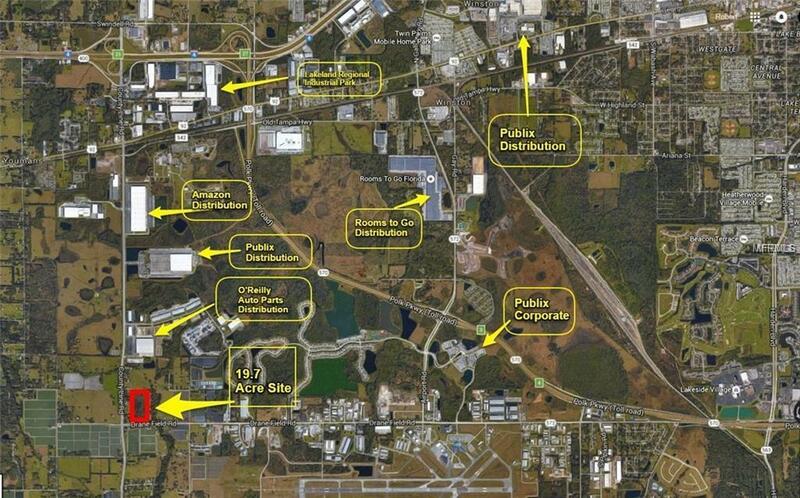 19.7 Acre level site zoned BPC1 for light industrial and distribution uses. 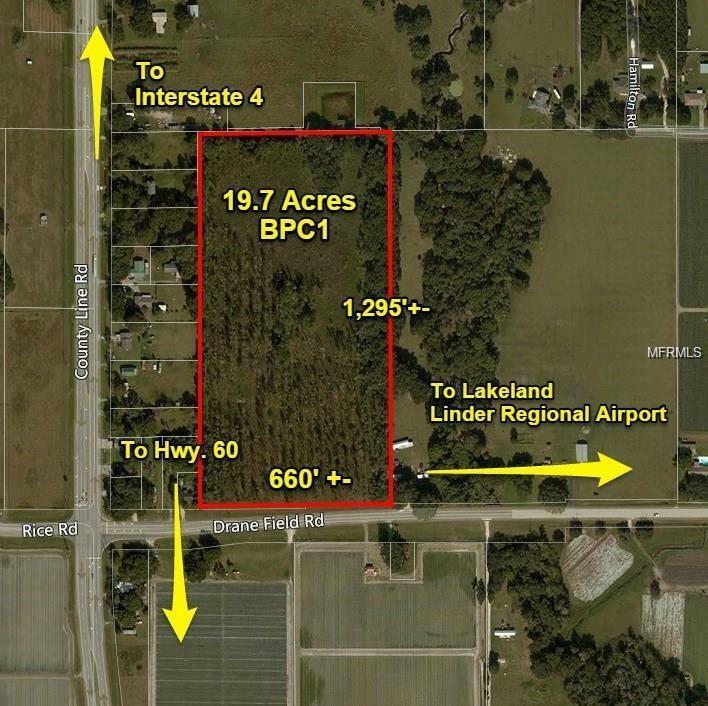 (Only $75,000 per acre) Direct access via County Line Road to I-4 (2.6 miles) and Hwy. 60 (4.4 miles). Near Lakeland Linder Regional Airport, Amazon, and O'Reilly Auto Parts Distribution Centers.